The design of a residential sprinkler system is more demanding than it first appears. Each sprinkler head must be positioned to ensure that the protected room is covered correctly as well as being sympathetic to the visual look of the ceiling as a whole. Then the pipe routes need to be worked out along with the diameter of the pipes. All this information is fed into software programs where fine tuning is carried to ensure compliance with the relevant standards. This process can take as little as a few hours to several weeks, depending on the size and complexity of the building. All our designs take into account BS9251 and any other relevant technical/guidance documents. On receipt of suitable drawings of the building to be protected, the design engineers will start by adding fire sprinkler heads in accordance with the requirements of BS9251 and manufacturers recommendations. The sprinkler system pipe work is then added to connect the fire sprinkler heads to the supply, which will either be a direct water supply from an incoming mains pipe or a water storage tank with a fire pump set. Full Hydraulic Calculations, (FHC), are then carried out using Canute software. This will determine the water flow and pressure required by the system. The sprinkler pipe network is then balanced by changing pipe diameters. This ensures that all the sprinkler heads in the system will perform in accordance with the British Standard and that the design is the most cost efficient. The system water requirements will be noted on the design document. Normally the drawings supplied to us will include the lighting layout for the property. Our design engineers will, as far as possible, line up the fire sprinklers with the lighting plan. Any problematic areas will be discussed with the client to come up with a solution that satisfies both the British Standard and that of the client’s wishes. The design drawings will then be forwarded to the client for approval. 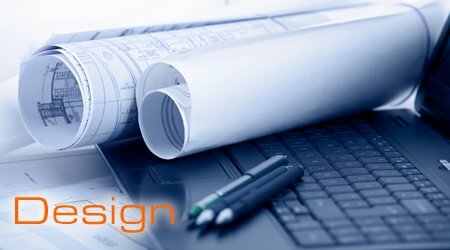 After approval, a design document will be prepared and forwarded whilst working drawings will be prepared for use by the installation engineers. If any deviations from the design drawings are required during installation, these are noted and forwarded to the design engineers who will make any adjustments that may be required. On completion of the installation, system commissioning will be carried out including a full flow test. The flow test results are compared with the design calculations to ensure full compliance with the design and the relevant standards. Following commissioning the design engineers will provide ‘as fitted’ drawings, which will form part of the O&M manual and/or user’s guide.